Lucky again! The Master and PhD students in Arctic Geophysics at the University Centre in Svalbard (UNIS) are this time spending the week at the EISCAT on Svalbard Radar (ESR). 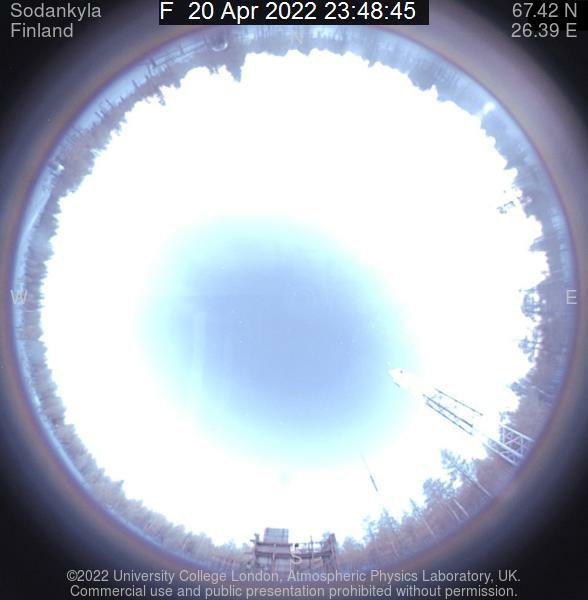 They are allocated two hours of radar time per pair of students to run the experiments they designed during the previous weeks to study substorms, polar cap patches, auroral structures and ion outflows. If Tuesday night was the opportunity to take group pictures in front of the ESR dishes with the aurora in the background, last night was a really special one. It reads "UNIS" (of course). Indeed, as the weather conditions were quite promising, we were informed upon our arrival at ESR that the ICI-4 rocket was likely to be launched from Andøya (mainland Norway) that very night. 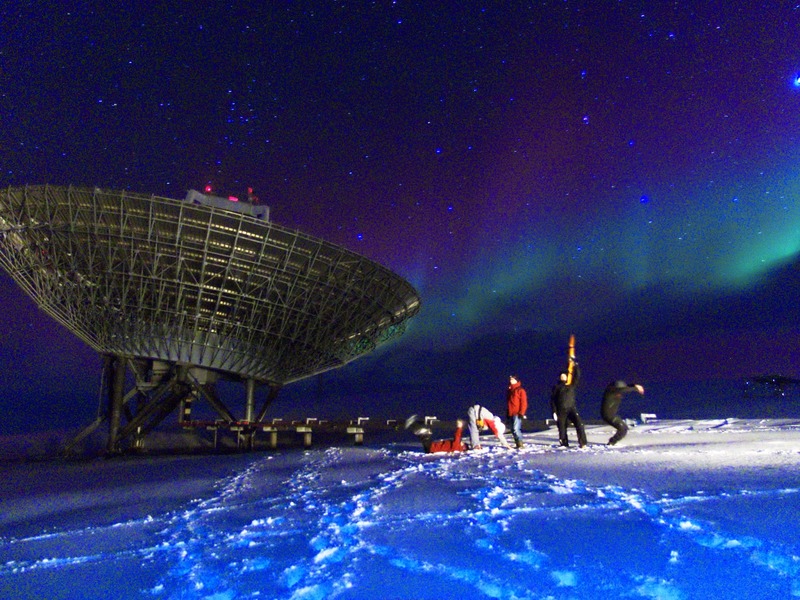 The ICI-4 mission, led by Pr Jøran Moen from the University of Oslo, is aimed at studying the interaction of an electron cloud with an auroral arc. The electron cloud in question is the result of the drifting of a polar cap patch to auroral latitudes. Since such a configuration generates high disturbances on radio signals, it is a topic of great interest, and in-situ measurements of the physical phenomena occurring within this structure therefore prove extremely valuable. There was a lot of suspense regarding the possibility to have at the same time favourable weather and geophysical conditions, and both from Andøya and ESR we were all monitoring in real time the ionospheric measurements made by EISCAT and the Norwegian magnetometer chain. Finally, as the optimal conditions appeared, it was decided to launch ICI-4. The final countdown ended at 23:06 local time (22:06 UT), and we all followed the mission elapsed time count for about ten minutes after the take-off. Happiness at ESR after the successful launch. 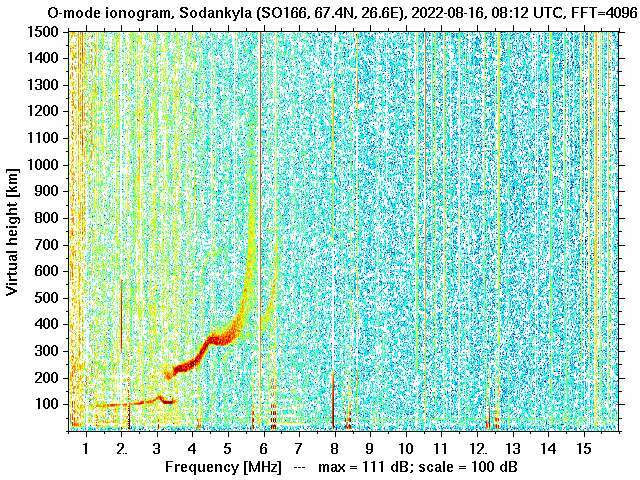 After such a thrilling fieldwork evening, let us wish to Jøran Moen and all the people involved in ICI-4 that the rocket recorded great data for them to study what happens when an electron cloud encounters an auroral arc!